The holiday resort lies on a wind-protected sun terrace at the foot of the Jungfrau, 400 metres above the Lauterbrunnen valley at an altitude of 1274 m. Since 1893, car-free Wengen can only be reached from Lauterbrunnen via the Wengernalp railway. 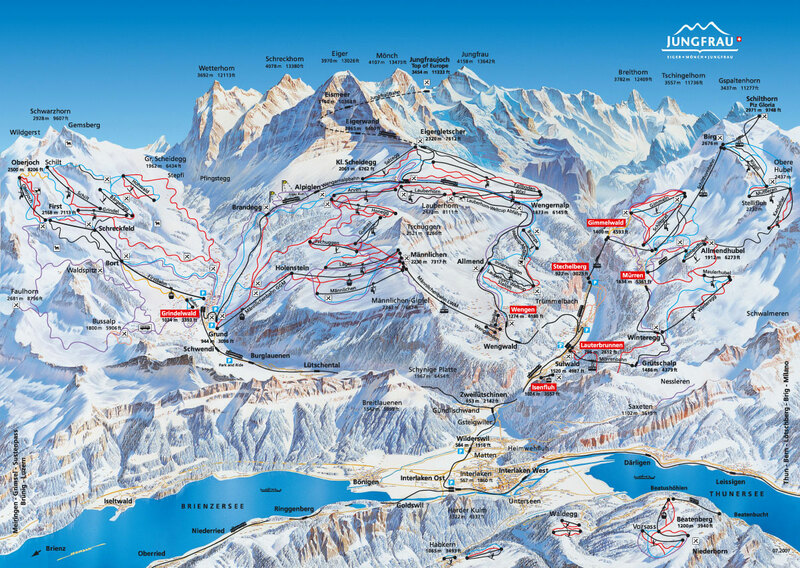 The three regions Grindelwald-First, KleineScheidegg-Männlichen and Mürren-Schilthorn together offer a total of 213 km of ski runs ranging from fast to leisurely, and from six to twelve kilometers in length! The Edelweiss hotel is just 5 min from the train station, where we will arrive from Lauterbrunnen by train. At the hotel you can find free Wi-Fi, a spa area with sauna, tischfussball and table tennis.